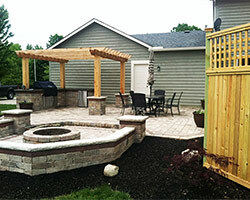 We have the all the experience and expertise to give you the outdoor living space of your dreams. 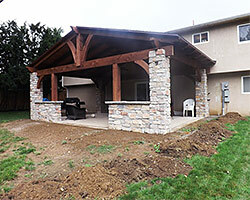 Our designers and contractors will design and install your next patio, outdoor kitchen, decking or fireplace. We use only the finest materials and products so that you are left with not only a stunning outdoor living space, but also one that is durable and can handle all weather conditions. If you want to install a new deck on your property then contact us today. 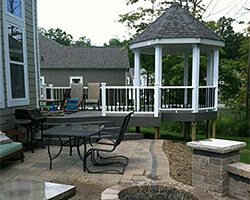 We have been creating beautiful decks for our clients for many years. 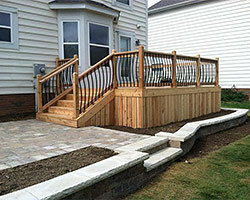 Let our professional team install your new deck from start to finish. This way you are guaranteed to have the finest wood and timber products that are suitable for your particular deck project. The addition of a patio to any outdoor area will provide so many benefits. Firstly, you will increase the visual appeal of your outdoor space. Then, you will also increase the value of your property. It really is a win win. A patio will enable you to spend more time outdoors entertaining your friends and family members. Don’t wait any longer, call the team at Creative Earthscapes today and we will get you closer to having that stunning patio installed. There is no doubt about it; a gazebo really does some elegance to any property. You will find yourself spending a lot more time outdoors, relaxing and enjoying the fresh air. A gazebo gives you the space to do that, all in the comfort of your own yard. We can custom design a gazebo that will suit your surrounds; you will be delighted with your new addition! 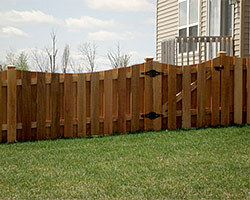 We all know that when it comes to fences; they are extremely important to any property. The reason is that they not only provide a border to your home or business; but they also can provide some added security and safety. Talk to our team today and we will inform you on the many different types of fence materials that are on the market today. 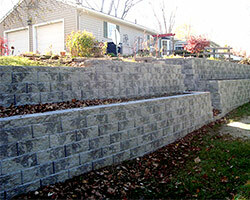 If you are in the market for a new Retaining Wall, then we are the right company for you. We have many years of experience in building walls and take all of the stress and hassle out of your next wall project for you. Let us ensure that your wall is constructed to all the building standards. Nowadays, walls don’t have to be boring looking, for there is a wide range of materials on the market that are beautiful and affordable.